Rivers Reach at 5700 Andrews Road was an award winning complex built by Adera. 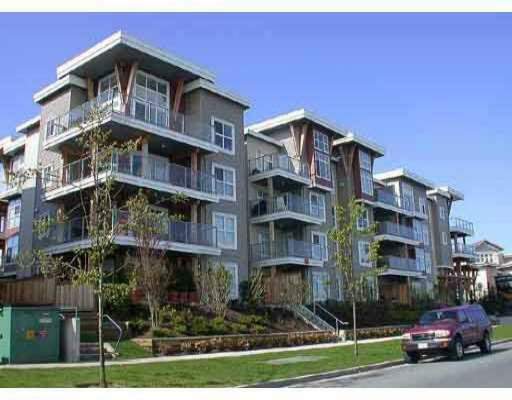 Located steps away from the dyke and walk to Steveston Village, community centre and Garry Point Park. Typical of Steveston Village, there is a great “community” feel here at Rivers Reach. Often residents will organize events such as “Wine and Cheese” parties in the Outlook Lounge. At Rivers Reach you are only minutes from work, stores, and all the amenities you've come to enjoy. Whether it's a romp in the nearby off-leash area with Max, tea and scones in a heritage farmhouse on a sunny afternoon, or fish and chips on the docks, there is always something to do when you live at Rivers Reach in Steveston. And because your getaway is your home, you have time to enjoy them! In one direction, it's a lovely walk or bike ride to Steveston Village, with its fishing boats, quaint neighbourhood shops, Britannia Heritage Shipyards, Gulf of Georgia Cannery and Garry Point Park. Turn the other way to explore the community gardens, London Heritage Farm, dyke trails, fishing, and farmlands. From farmers' markets to fresh fish sales, you'll find everything you need to live a life of luxury, naturally. The landscaping and grounds at Rivers Reach are truly a notch above the rest. Lagoons surround the property and make a tranquil home for ducks. At night you can hear the songs of crickets and frogs – it’s easy to forget that you are a quick 10 minute drive to the centre of town!